You can set access rights for each of your knowledge base. Access rights are assigned in two stages – at the level of the application itself and at the level of a certain knowledge base. 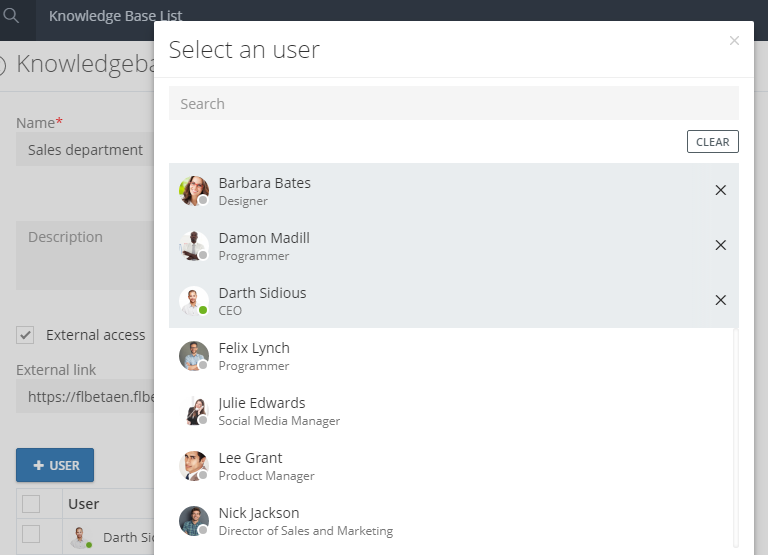 Here, you can assign each user a specific role at the application level. The application administrator has unlimited access rights to all sections of the knowledge base. Employees have access only to those sections of the knowledge base, that the administrator will give them access to. Employees also can not create any new knowledge bases. 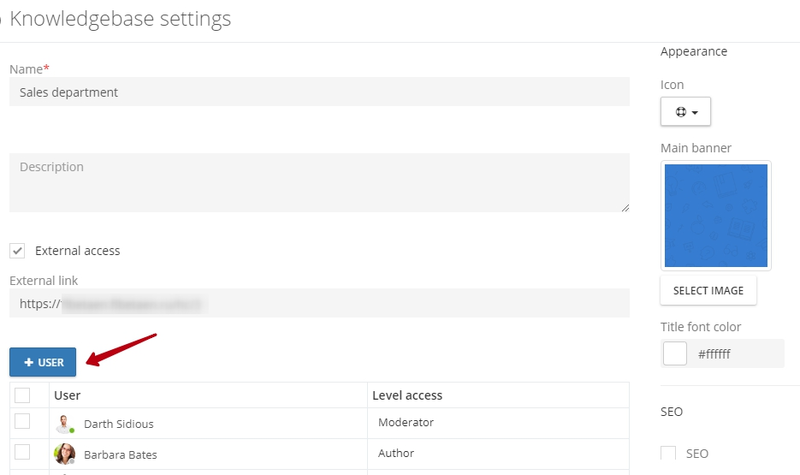 Access rights to the knowledge base can also be assigned in the user's profile. To do this, go to the Users section and go to the user’s profile to whom you want to assign the access rights. Access rights for a specific section of the knowledge base are assigned in its settings. There are two ways to go to the settings. Administrator – has an unlimited access to the knowledge base provided to him. He can invite the users to it, set access rights, open external access to the database, rename, or delete it. 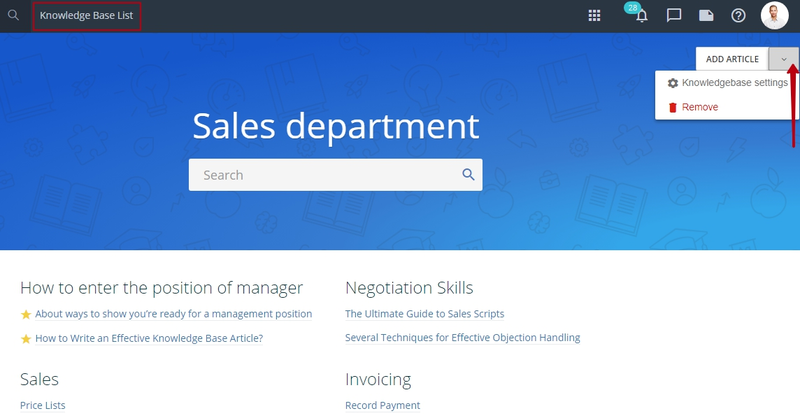 Moderator – can work with all the content of the knowledge base: add, publish, edit and delete articles. Author – can add, publish, edit and delete only his own articles. Changing the articles of other authors is not available to him. The author can see all the articles: both published and unpublished. User – can read and comment on only published articles. He cannot add his own ones. 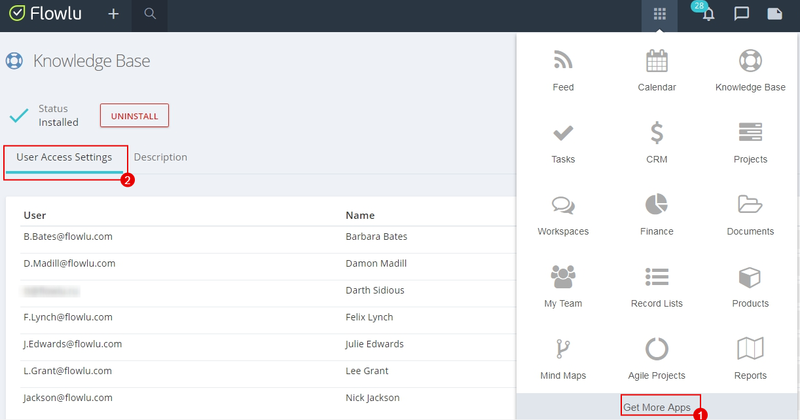 Note that an employee with a User access level will see the knowledge base in the menu only after there will be published at least one article.